Automatic garage doors would be nothing without its opening system. The operator is the brain and when it doesn’t work well, it may become problematic. Here is all of the necessary information you need to know about your garage door opener. 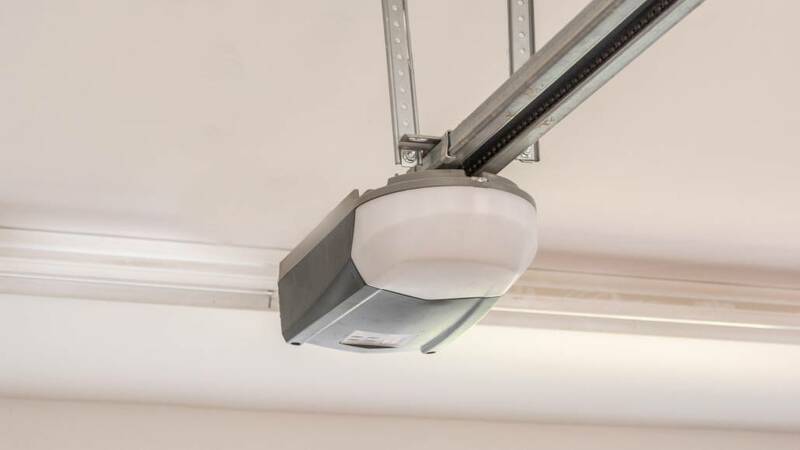 The garage door opener is the motorized device attached to the ceiling that opens and closes the garage door. Remotes and keypads usually control it. The system is meant to be an added convenience for residents, and with today’s technology, users can even use their smartphones to open and close the door. The operator is connected to the garage door by a track and moves the pulley or trolley along the track to open and close the door. The system is either driven by belt, chain, or screw. Belt driven systems are typically the quietest and costliest option, made of polymer. Screw-driven systems are made of a threaded steel rod, allowing the trolley to move smoothly and quietly. Chain driven systems are the cheapest and loudest option, and resembles and works like a bike chain. Installing a new garage door opener can cost anywhere between $200-$650, depending on features and components. In general, the faster or quieter the system is, the more it’ll cost. Garage door openers will usually take about 2 hours to install. A new garage door installation can start as low as $500 depending on the style and size. Many homeowners invest in additional garage door components, such as remotes, keypads, or lighting, for further functionality and convenience. Some operating systems also offer smartphone compatibility, allowing users to control their garage door from anywhere. If your garage door is in need of repair or replacement, don’t hesitate to give All Right Garage Doors a call! We specialize in all aspects of your garage door system and would be more than happy to come out to your Orange County home. Call us today at (714) 726-2225. We service, repair, or replace all aspects of your garage door system. Your safety is our TOP priority. A safety inspection is done upon arrival.